I LOVE LOVE LOOOOOOVE my Real Technique brushes. I honestly can't say anything bad about these. I've been using them for around a year now and each and every brush that I own still feels as great as they did when I first used them. In this day and age there are so many people who now want to go completely cruelty free in not only the products they use but also in the tools they use and I think this is one of the reasons that RT brushes have been such a huge success literally all over the world because if you wasn't aware all of the RT brushes are made from synthetic, cruelty free taklon fibres. Now my past experience with synthetic fibres hadn't been great so I was weary about these, but with so many great reviews about them and the fact they're made by Samantha Chapman, an AMAZINGLY talented Makeup Artist who forms as part of the duo Pixiwoo with her equally talented sister, Nic over on YouTube I kinda knew they would be worth investing in. Right let's start off with the one I didn't like then we can move onto all the good stuff! Now everyone and their mum on YouTube had been talking about how using a brush to buff your foundation into the skin will give you a flawless finish... so I thought they all must be right... well I wasn't keen on this brush, I felt it was absorbing too much of my foundation and wasn't leaving me with the coverage I like and I felt like I needed to apply more just to get a decent coverage. Well this kind of put me off the whole range. I then discovered after buying another brush similar that it's not the brush, it's me, I simply prefer the finish I get when I apply my foundation with my fingers. So yeah this brush just sits there not doing much, but he's not lonely he has the other foundation brushes I don't use to keep him company so don't feel too sad!! Love LOVE this kit! I've since gone on and bought another one from Amazon for a few pounds cheaper. 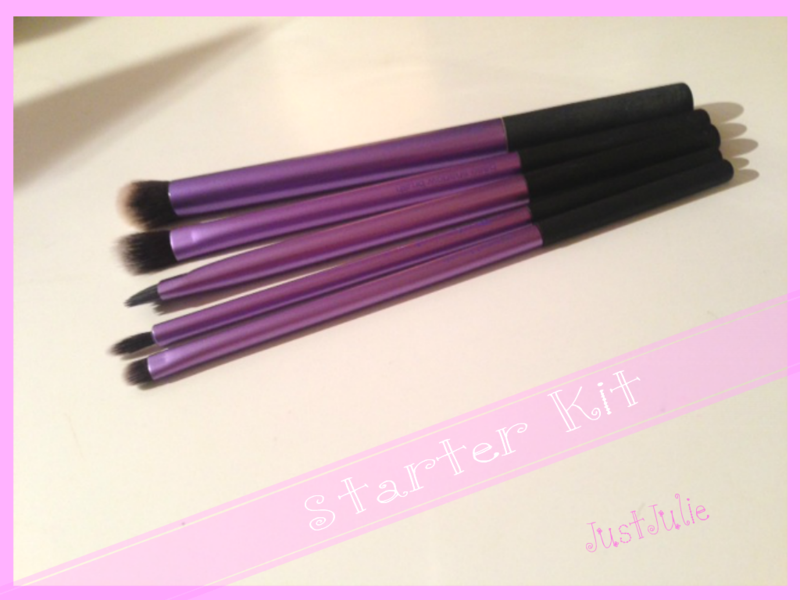 What I love about this set is that all of the brushes are multi purpose, they have more than one use and aren't limited to just the eyes! 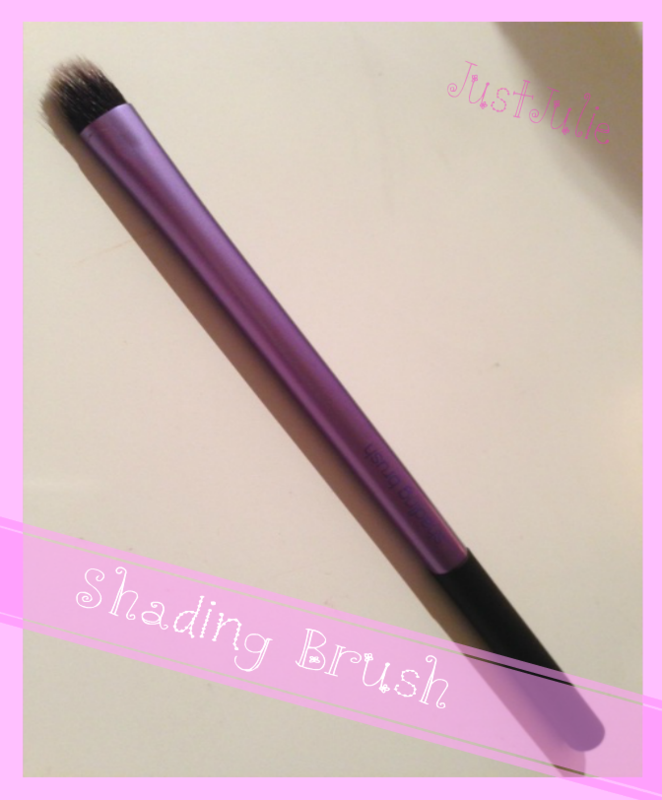 The Base Shadow Brush is one of my favourite blending brushes in the world, if you're left with quite a harsh line with your eyeshadow or are using dark colours this is the blending brush you need as it really does a great job at getting rid of any harsh lines! It's also great to buff concealer in under the eye area! The Deluxe Crease Brush is meant initially to use for blending in eyeshadow but personally I prefer to use this to blend in my concealer under my eye, around my nose and on areas of my face that need a little more concealing. It's funny how I don't like a brush to apply my foundation but I do for concealer... I'm weird, I know! The Accent Brush is great for applying shadow under the eye or for smudging in eyeliner to create a nice soft smokey look. I've recently been using this to apply a darker colour above my eye to create a harsh line under my outer V (I'm pretty sure that makes no sense at all!) because it's a small brush you can really get a detailed line if you want one. The Fine Liner Brush is meant for applying eyeliner, be it liquid, gel or shadow. Personally I just use this to add highlight in my inner eye, by the tear duct and also for applying powder to my brows. The Brow Brush is the only brush I don't use. I have such thin, sparse eyebrows this is just too big for me. I sometimes use it to smoke out my eyeliner under my eye but pretty much it just sits there all lonely! The only thing missing from this set for me was a brush to lay down my base shadow, seeing as I find the actual base Shadow Brush too fluffy and big for that I was thrilled that they sold one separately so I bought the Shading Brush I tend to use this more so when I'm applying a cream shadow like the Maybelline Tattoos as it works wonders with cream shadows. I also sometimes use it to apply colour to my outer V eye area as it's a relatively small brush. I wasn't blown away with this brush but it does the job it's meant to and I do use it most weeks. 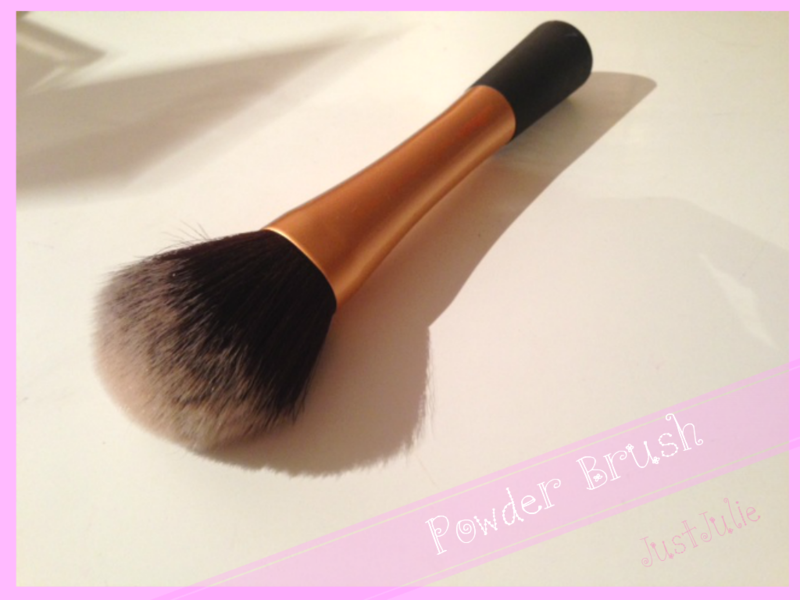 The Powder Brush is probably my favourite brush out of all of them! I just LOVE a huge fluffy brush to apply my powder. This is super soft and doesn't shed at all and I've washed it a zillion and one times too! It also just bounces back into shape after washing it, which sometimes with brushes never happens. 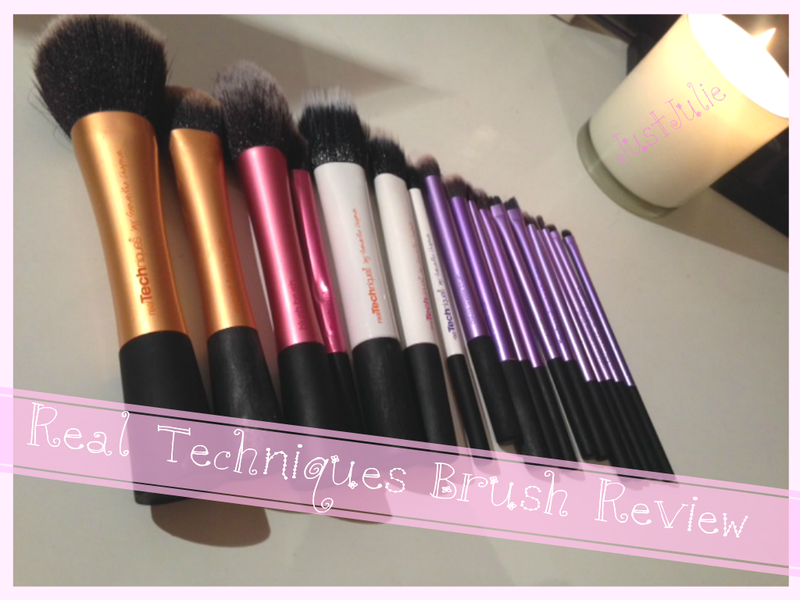 I will add all of the brushes bounce back to their original shape after washing too! When applying my powder I press the brush on my skin and let the powder sink in and then after a few seconds I then run it all over my face to knock off any excess powder and to make sure it's all blended in. I honestly adore this brush and plan on buying another one, it's that good! The next two brushes I bought were The Blush Brush and The Setting Brush I got these for buy one get one half price (I'm a sucker for deals!) Some people don't like a large blusher brush, but I do, maybe I have a large face?! Again it's super soft and doesn't shed at all. It picks up enough colour so that you don't go to OTT with the blush and it blends in colour really well. 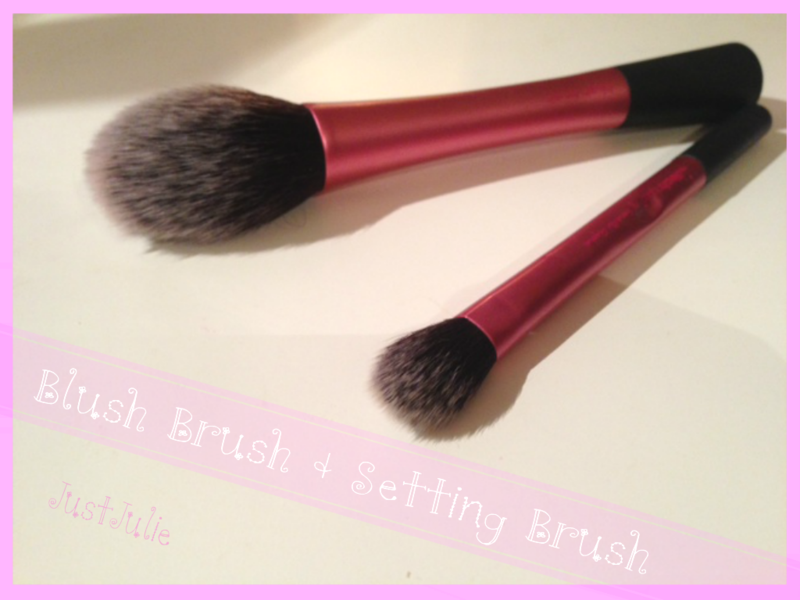 This is currently the only blusher brush I use! I bought the Setting Brush to contour my face and it does a great job at doing that but I've since kinda stopped using it because I've found a better one.... keep reading! Duo-fiber Face Brush, I tend to not use this for actually applying product, I use this to kinda blend everything in after I've finished all my makeup. 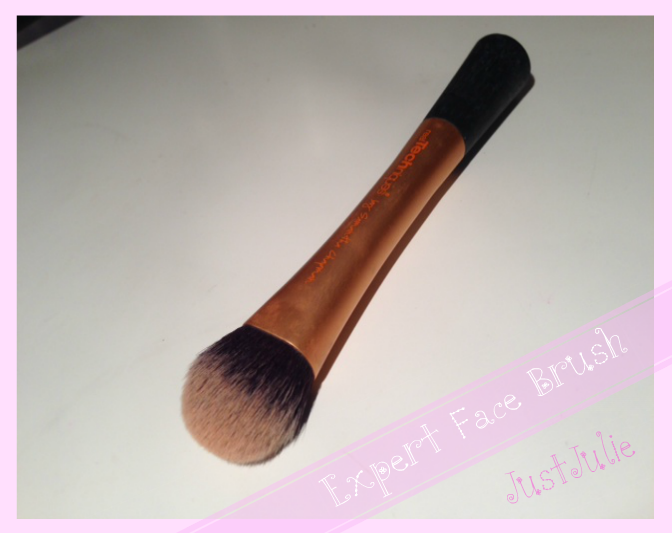 It works just as well as my MAC 187 stippling brush, for blending in all of my blusher, contour and highlight and get's rid of any harsh lines or if you have applied a little too much blush this brush will blend it in lightly to lighten the blush. It's super soft and washes really well. 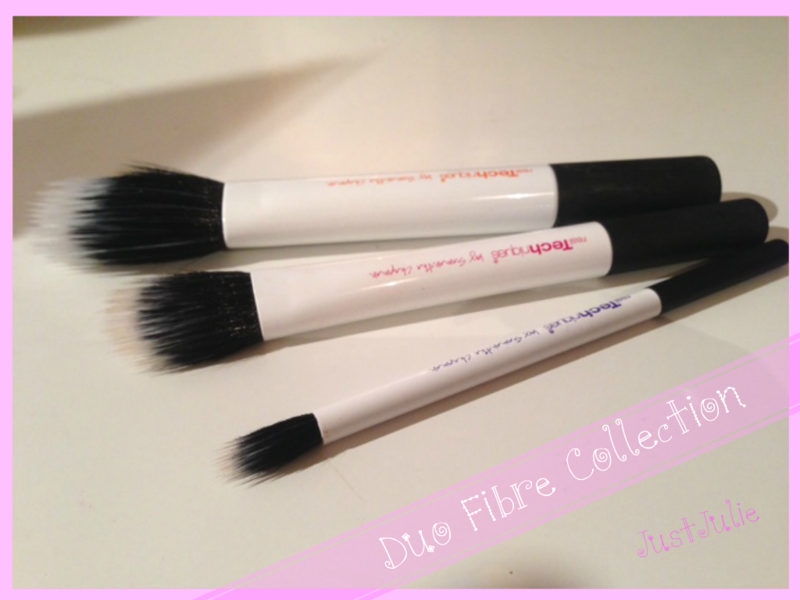 Duo-fiber Contour Brush, this is my new contouring brush! I LOVE IT!!!! because it's duo fibred it means it doesn't pick up too much colour so you don't go too overboard with the contour. It does a great job at applying the contour colour as well as blending it in so it's not harsh. I really can't say anything bad about this brush. Duo-fiber Eye Brush, again like the contour brush, I can't say anything bad about this either! It's fast becoming one of my favourite eye blending brushes. It just seems to finish of my eye shadow so well and kinda make its look nice and airbrushed (if eyeshadow can look like that!) it's super soft but hard enough to get to task with those darker eye colours. If this was sold separately I'd probably own at least 3 of this by now! Let me know your thoughts on the RT brushes too. What ones are your must haves!